Pomegranates are a fun. Is it weird that I think a fruit is fun? I feel like I’m eating an exotic fruit. You know, because anything that’s not an apple or orange is pretty exotic to me. My husband and I saw a bin of pomegranates at the grocery store. I can’t remember how long it’s been since I’ve had one so my husband grabbed a couple of them. If you’ve never had one before, you eat the seeds, which are sweet and tart. I eat the pips seeds and all and I think most people actually do. You get a little shock of sweet and sour juice followed by a bit of fun crunchy seed in the middle. My husband (who will actually eat the unpopped kernels from microwave popcorn) hates the seeds in a pomegranate. His approach is to put an entire handful of the pips into his mouth, carefully squish out all the tasty parts, and then spit out the wad of seeds without chewing any of them. Of course as a food blogger, I had to use these juicy seeds in a fun recipe. How about a little drinkie to celebrate the week being half over? If you like pomegranates, mint, limes, rum or fun pretty cocktails, then this will hit the spot. In a shaker, pour the white rum, simple syrup, pomegranate juice, and lime juice. Add in the 2 leaves of mint. Crush the mint leaves to release the mint flavors. I used the back of a wooden spoon. Shake all of the ingredients. Pour the liquid into a a tumbler glass. Pour the club soda into the tumbler glass. Add a few ice cubes, just short of reaching the top of the glass. Add a few pomegranate seeds. Note: To make the simple syrup, heat a 1/4 cup of white sugar and a 1/4 cup of water until the sugar has completely dissolved. Stir it occasionally, it’ll make determining if the sugar is gone easier. This will make slightly more than 1 ounce of simple syrup so make sure you measure it prior to adding to the drink. Here is another delicious alcoholic drink (which happens to be my favorite). I’m not generally a mojito fan, but these look so pretty and fun that I think I’ll need to try them! And they would be perfect for Christmas! So pretty! This is definitely a perfect holiday cocktail! I love those gorgeous little seeds! 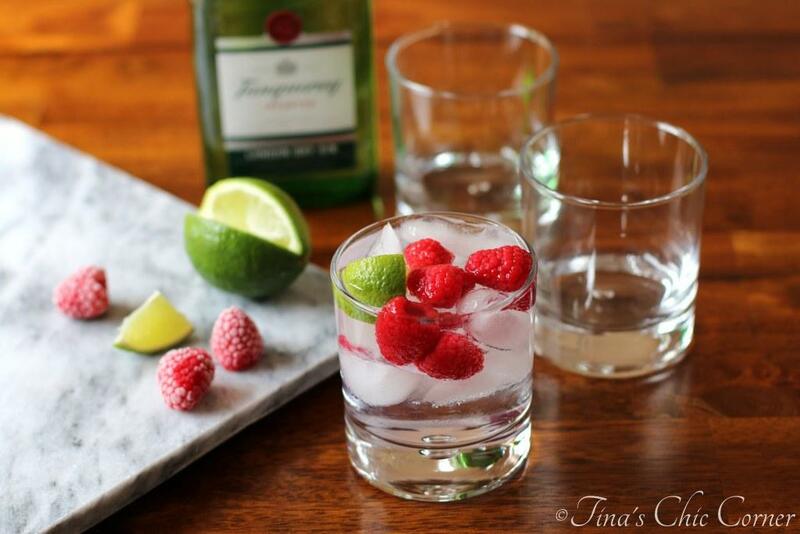 These look so refreshing and sweet, Tina! I’m loving them for the holiday season! Yum! I love this, Tina! So festive, and your photos are gorgeous! Yum! Pomegrenates are some of my favourite fruits. I just love those small pits. Love the pomegranate seeds in this drink, and it’s so festive looking! Pinned! This is one beautiful cocktail! I love pomegranates… and you are right… they totally are fun! I love breaking them open! Pomegranates just arrived to our stores and I was so excited to see them! What a delightful way to use them! Mojitos are one of my favorite adult beverages… so cool and refreshing, even during colder months of the year. I am curious if you made your own juice from the seeds or you purchased pre-made juice from POM for your recipe? Thank you for this lovely recipe, Tina! Great question…I used store bought pomegranate juice because I know that I won’t drag the juicer out when we host a party. I did use POM but I’m sure any brand will work. Hey Tina, I am sitting here sippin on this colorful concoction you’ve created and it is just lovely!! The pomegranates are so delightful and the flavor balance is spot on. Thank you for this refreshing, mojito! It is now on my favorites list!! Wow! What a fun drink…and it’s perfect for the Fall! I was just playing around with pomegranate seeds last week for the first time in a long time. The seeds are totally strange and awesome at the same time. I think this mojito needs to appear on my table sometime soon! I just adore mojitos! But I’ve never had a pomegranate one, so I must give it a try. I know I’ll love it! I saw pomegranates for the first time of the season in the grocery store last week. The holidays are upon us. Cheers!